I sell network equipment, clients ask us for masts and towers sometimes. Can I resell your products? Yes you can. In fact we are looking for long term relationships with major integrators and wholesale distributors – if you feel your market offer is not complete without masts and towers, contact us quickly. There are discounts for resellers (based on sales volume declared) and flexible agreements. On the other hand if you do not want to bother talking to us, because you are unsure about this mast business – every piece of information is for you on this webpage. You may repost, link, copy and put our photos and specifications into your online shop without asking. We can even help you in converting our catalogue into your online offer with some additional graphics, hi-res photos, product photos ect. If you feel our product line is incomplete – we can add custom products – just tell us what you may need. We do the drop shipments. Just remember in such case you must transfer the full payment before dispatch. Seconly, remember about transportation costs (down this FAQ), and finally let some production time. In most cases 2 weeks for towers over 24 meters, 1 week under 24 meters, 3 days for masts under 25 meters. Eurocode in my country is different than in other regions, can you handle this? Yea, our static engineer can prepare projects and calculations both in German and/or English plus we can comply with all European so called „National Annexes”. We do posses most of the country specific norms, but if we do not, and you do – we will work on your set of documents (verify copyright before sharing). Okay your prices are fine, but how about transportation costs? We are production company at first, so we seek for local resellers. This strategy is due to cost of transportation that is quite good if we ship many items at one time, and may be a problem when we send You just eg. one ballast mast. But yes, we do sell small quantities and single copies through the whole Europe. In some markets our base prices are so attractive that even relatively high transportation cost lets us keep our competitive edge. 1. Small items (less than 2 meters in lenght, less than 15 kgs in weight) are sent with UPS or DPD services (depending who ofers best deal on certain shipment). Standard cost for one 2 meters section of M400 mast is around 55 Euros to most locations. Brackets, anetna holders and small accessories are normally 15-20 Euros. Time: It usually takes 3-4 days to catch a good deal for dispatch. If time matters then we suggest Altruss VAN option. My authorities demand TUV, GLS-SLV, ISO3834, ISO1090 and „CE” – can you do it? Yes we can. Please visit our „Certification” tab to read details and see copies of documentation. We provide each and every avliable proof of welding and production quality. We closely work on this with our partner company Rolstal that handles parts of our controlled quality production. I’m from England, France, Germany – you name it, Altruss is located elsewhere – will it work? Definitely yes. 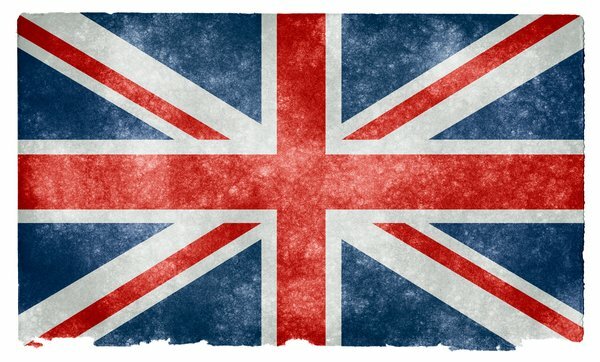 We are all EU now – so export/import is easier than ever. No VAT in export, unified invoices, PayPal or SWIFT payments mean we can exchange cash for goods as quickly and comfortably as in our local grocery market. Never tried to import? Now it’s a good time! Altruss speaks English, Russian, Polish, German – so there is big chance we will not be lost in translation. Okay you do not feel comfortably to speak English (I know you French people 😉 then still we do have google translate. In extreme situation we can hire an interpreter of your language. Why not? Just let us know. Altruss and prviously Alupro has 8 years of experience in export to most of european markets. Our towers/masts work in Germany, Austria, France, Spain, Slovakia, Czech Republic, Sweden, Norway. Most of our clients stay with us for next/future projects. We do static calculations in accordance to Eurocode and its local extension (annexes). So you may get all the paperwork tailor cut to your market reality. If product certification is needed: we work with our partner company Rolstal to provide any possible proof of quality including set of TUV, GSI-SLV, marine certificates. Most important we comply with ISO 3834 and ISO 1090 norms. Is your legislation still not happy? We can do bolted version of what you need, so no certification beyond „CE” declaration shall be needed. We work 7:00 AM untill 20:PM CET – uder e-mail, Skype and phone, so It shall be not a problem to get answers from us. Okay how about installation and transportation? Small quantities, single units are sent with courier services or through online dispatch markets (like Timo.com). Bigger loads get dedicated transportation from us (we take care of everything). If needed our company team can come and do the installation for you guys anywhere in Europe. Service of mast and tower, why sould I bother? 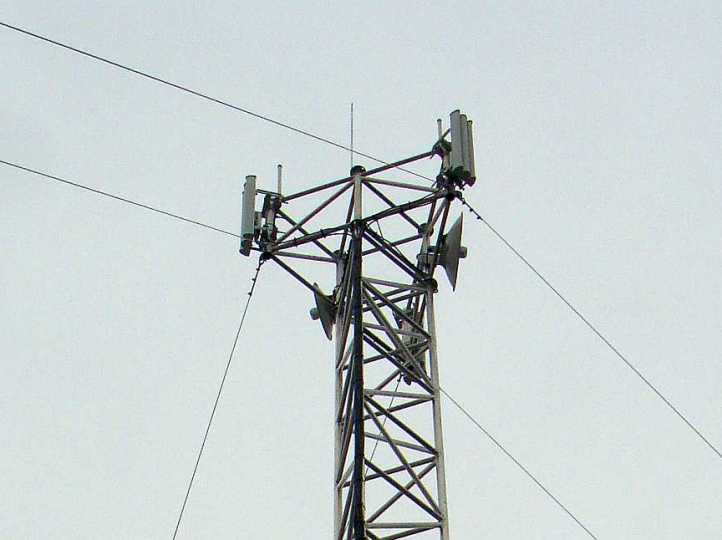 Masts and towers, both aluminum and steel are constuctions of high risk. Damage may cost loss in property or even life, so it is good to service your mast before it breaks. 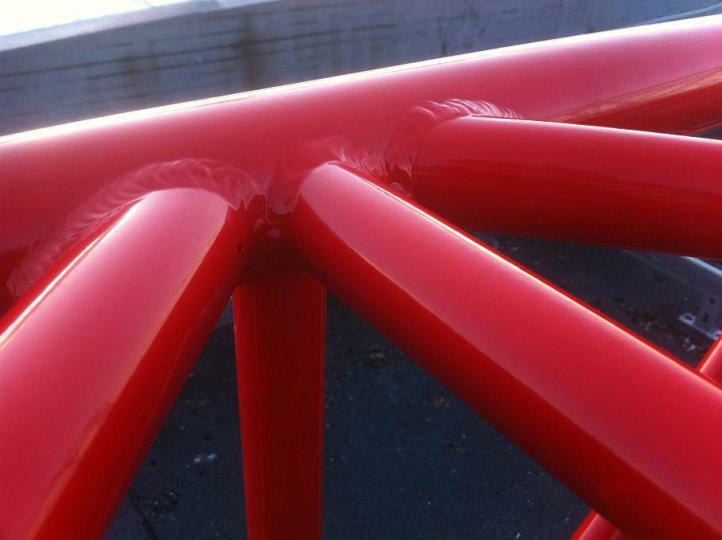 Aluminum masts are resistant to corrosion, but not so much to frost cracking. Once each year, in spring preferably, qualified personel should chceck for any signs of frost damage. Any cracks found shall be welded, some poles echanged for new, and drainage patented. Altruss masts are well prepared to handle unwanted water, so less prone to frost cracking. Second issue – guy wires. In older installations it was usual to use 3 mm wires. Most of them were zinc-plated years ago and now are very fragile because of corrosion. We recommend usage of good quality guy-wires 1×19 type, minumum 4 mm made in Europe – even for smallest masts. Third thing is guy wire tension – this has to be corrected due to natural wire wear that results in wire lenght increase. Always chceck with mast producer what amount of tension shall be used. If possible measure it (some tensors have a gauge for this). 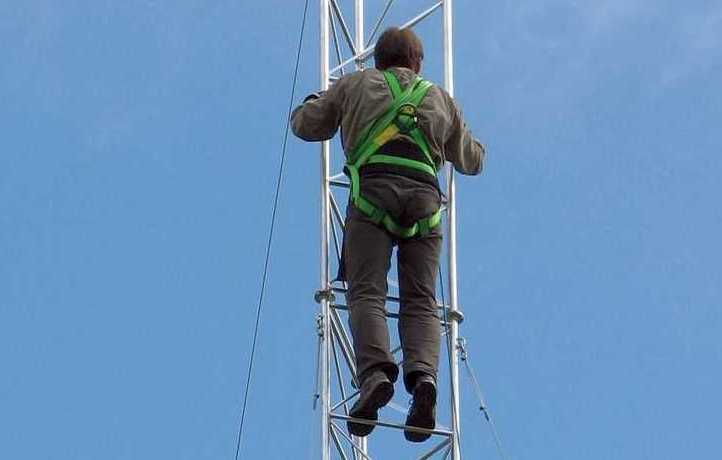 Aluminum towers are much more robust and require less work. All that has to be checked is: signs of frost cracking and corrosion to the bolts. Once in 5-10 years a verticality check is suggested (done by land surveyor). As gound under the towers settles unevenly the whole tower may change its centre of gravity. This can be changed with correction rings. In case of steel constructions a anti-corrosion checek must be conducted, and any stained spots must be repaired. During u-bolts change (and other metal on metal components as well) we shall take under consideration electrochemical potential of used materials. High difference here may lead to amazingly quick corrosion that may be dangerous for the structure rigidity. How do I place guy wire anchors the right way? In general it is advised to build masts symetrically – for 3 cornered trunks it would be 120 degrees each. Anchors sholud not be closer to the mast than half of its height. For example for a 50 meters high mast, anchors must be at least 25 meters apart from its axis. How do we attach antennas the smart way? Telecommunication mast, as each truss construction has nodes, that are the most robust places in the whole structure. Every force we use on the mast shall concentrate around these nodes, no matter if during building or choosing a place for guy wire mounting points or finally when mounting antennas. The node is a place where cross members meet on the corner pipe. Why do I need separation crown? The main reason to use separation crown is to separate antennas from each other accordingly to producer specifications. Antennas have backward radiation that may lead to interference and high noise bed. Because electromagnetic radiation force decreases with the square of the distance, even small separation is sufficient to improve the situation. Second task of a separation crown is increasing the mast torsional stiffness (with additional set of guy wires). Truss masts are quite robust for vertical forces (inherit feature of a truss), average for horizontal forces (thanks to guy wires), and relatively non resistant for torsional forces (hence idea to help here). Twisting is most problematic during high winds and service jobs. This is especially problematic for radiolink, because it may interfere with or even break connection. Welding quality is a key to safe product in mast business – and we are serious about this. 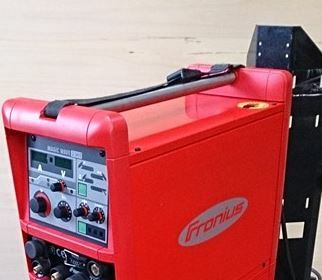 In Altruss we do weld only in TIG process and with best possible equipment by Fronius and Kemppi. On top of this we use certified rods by ESAB to all sensitive works and AirLiquide argon gas in 5th grade of purity. All welders are well trained, and their job is randomly checked, plus samples are destroyed to see if the weld had right amount of penetration. Alternative to the TIG process is MIG – which is quicker, needs less qualifications, easier to master – but controll over weld penetration is inferior. In Altruss we use MIG process only for steel where above problems do not occur. Is mast stiffness importnat for me? What should I expect here? What do I choose? Tower or mast? What information matter when we brief you Altruss to make a mast for us? How do we choose right height of the mast for radiolink? Are welded constructions any better than bolted?